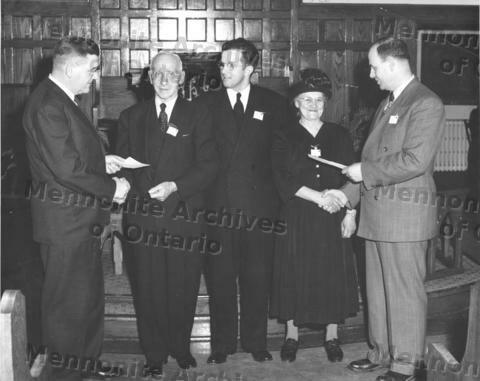 A presentation to U.K. Weber (2nd from left) and his wife? (2nd from right) in Stirling Ave. Mennonite Church?. A.R. Shelly is center. Earle S. Snyder is on left; unidentified man on far right. Not found in CM. Smaller duplicate photo included.